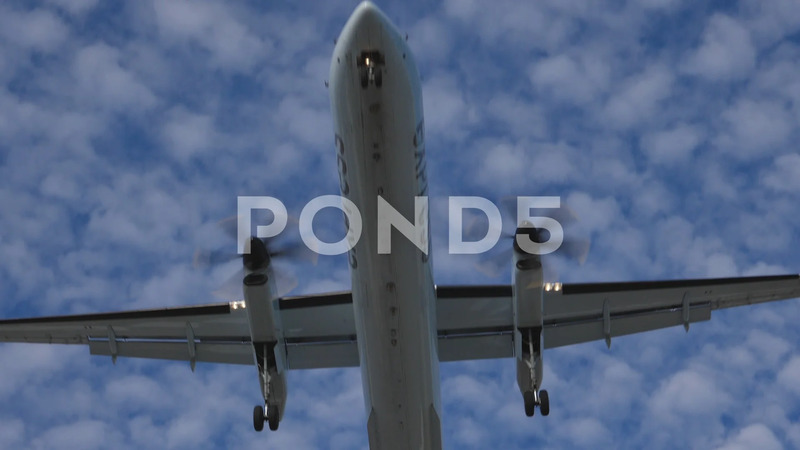 Slow Motion - Air Canada Express Dash 8 Q400 Landing At Yyz / Toronto. Description: TORONTO, CANADA on Sep 13th: Slow motion shot of Air Canada Express Dash 8 Q400 landing at Pearson International Airport, Toronto on Sep 13, 2017. Air Canada is the flag carrier and largest airline of Canada.